For those of us in Australia, those warm summer days are getting further and further away, and so to may be many of our sun-kissed tans. But thanks to the miracle that is fake tan, we can keep that summer glow all year round. Actually, I advocate for using it all year round, because being out in the sun that much to get a tan certainly isn't doing your skin any favours. 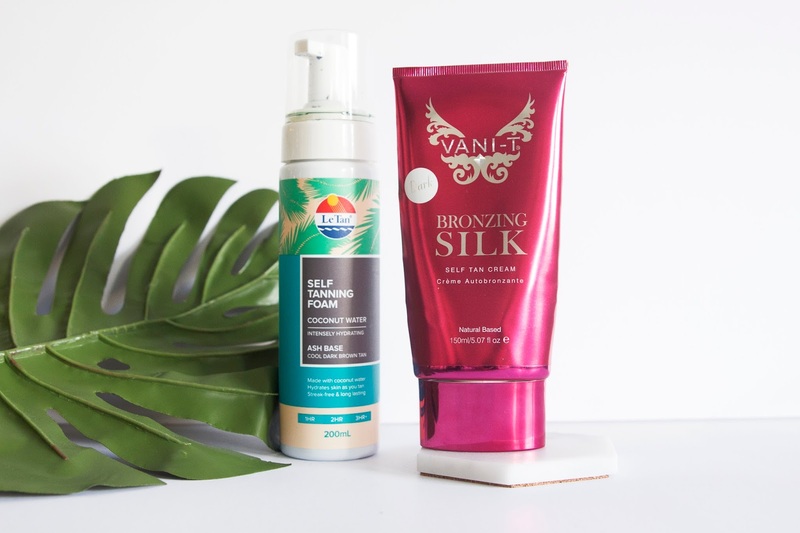 So today I thought I would share some of the fake tanning products I use and would recommend. 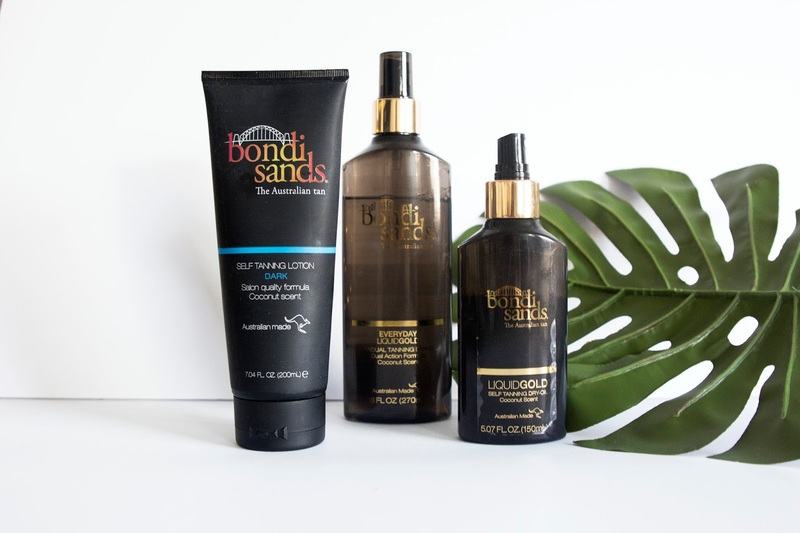 If you can't tell I'm a HUGE fan of the Bondi Sands range. One of the first products I picked up was their classic self-tanning lotion, and I have only good things to say about it. I tend to put this on in the afternoon/at night and then sleep in it overnight before washing it off in the morning. I've found with some tans in the past that heaps of the product will wash off, leaving little colour behind, but not this one. You can also build up the colour by applying another layer if you want it a bit darker. I found this one doesn't come off to patchy, especially if I make sure to exfoliate before applying, and it generally lasts a bit over a week; the more care you take to moisturise each night the longer and better it will last. This is my favourite for when I'm feeling lazy but I need to be tanned within a few hours. Applying this just like a normal fake tan, the oil has a bit of a colour to it to help you remember where you've applied. This stuff is great because you can put some on, wait a few minutes for it to dry and sink in, and then get dressed and go. Within a few hours the colour will have developed and you'll be looking fleek. Being such a quick fix, the tan itself doesn't last as long or as well as their normal fake tan products. If you do get it wet, especially within those first few hours, patches will develop, and it also patches off after a few days, though again keeping yourself moisturised and using a gradual tanning moisturiser will help prolong it. I most recently got my hands on this product at the Priceline event I attended a few months ago. This seems quite similar to the drying oil product above, but it has some differences. 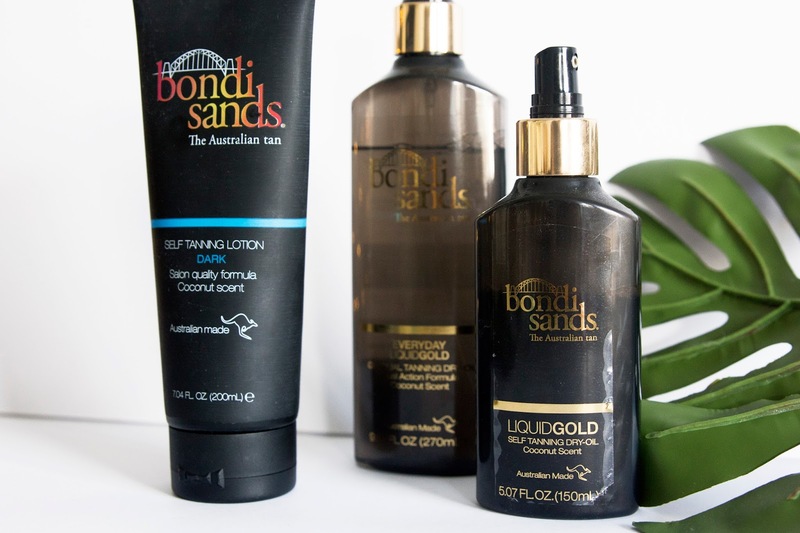 Being a gradual tanning oil, it's not going to give you a beautiful bronze glow within a few hours. 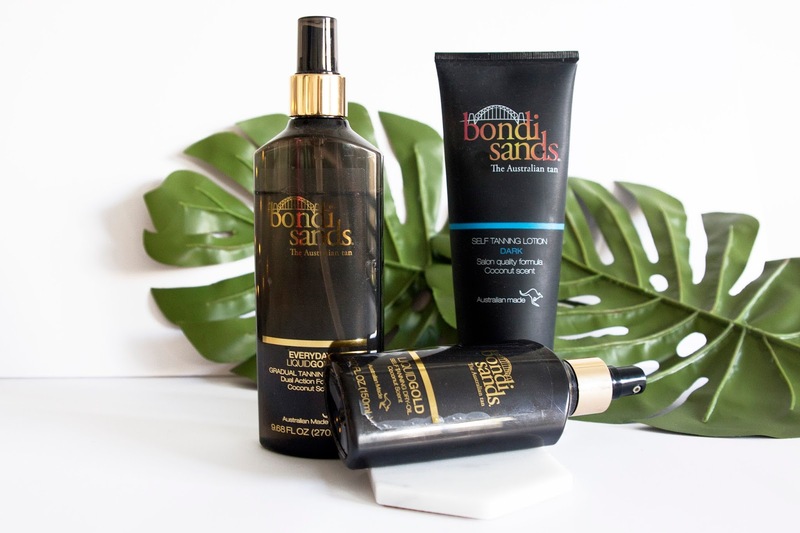 As the name suggests, it's a product you need to continually use to develop a tan. It's similar to a gradual tan moisturiser in that sense but I find this much easier and quicker to apply. Being just a gradual tanner, it's staying power isn't anything like a normal fake tan product and it can be hard to make this super dark if that's the look you're after, but I find it does wear off quite well and is less likely to get patchy. I think the benefit of these types of products is you're getting to moisturise your skin while also slowly adding some colour, which helps keep me motivated to do the right thing and give my skin some hydration after a shower. I was so intrigued by this product when I saw it had an ash base. Most tans have a green base to them, which sometimes I can struggle with when it comes to leaving a green tinge on my hands. I'd used Le Tan's gradual moisturiser previously and I loved that stuff, so I was hopeful for this product as well. I loved this stuff! It's not quite as dark as the Bondi Sands dark gradual tanner that I tend to pick up, but it gives you a lovely bronze colour, and lasts for just about as long. I actually loved the more purple base colour too. It didn't seem to affect the colour of the tan and it didn't leave any sort of colour residue on my hands. I picked this up a little while ago at the Bloggers United event I attended and had never seen or heard of this brand before then, but I was intrigued. This tanning product is unlike any I've used before and I'm yet to come across anything else like it, but it's definitely a winner for me. The product itself is a thick, white cream, and when you apply it, it doesn't leave any colour behind, so it can be a bit tricky making sure you've not missed a spot. Being thick, it does take a bit of working into the skin to get it to sink in, but once you've put it on and let it sink in, you can get dressed and go. Within a few hours you'll be glowing and the colour lasts almost as long as a regular self-tanner.